Glucosamine DS with MSM is recommended for dogs and cats suffering from mild to moderate joint pain and stiffness. 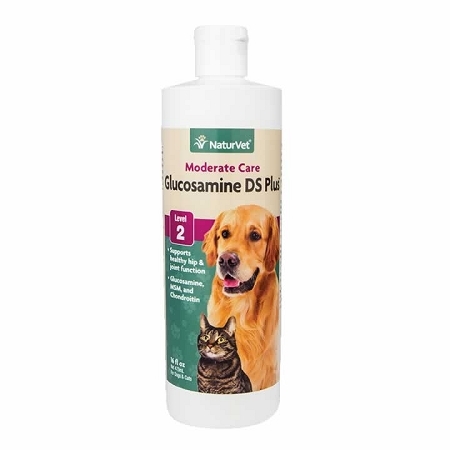 Glucosamine DS with MSM - A Glucosamine Liquid Supplement For Dogs and Cats with mild to moderate joint pain and stiffness. Glucosamine DS with MSM is a "double strength" glucosamine supplement for dogs and cats with mild to moderate joint dysfunction. 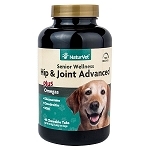 This formula helps to maintain joint flexibility and alleviate aches and pains associated with exercise and/or overweight dogs. For pets with advanced joint dysfunction, try Arthrisoothe Gold or Glyco-Flex III. 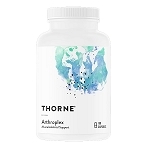 Glucosamine is an easily absorbed natural substance that stimulates the production of proteoglycans which help maintain the health and resiliency of joints and connective tissues. MSM provides sulfur which is critical in the formation of collagen and glucosamine which are vital components for healthy bones, joints, ligaments and tendons. Glucosamine DS with MSM contains important antioxidants to help protect against free radicals that cause cellular damage. Glucosamine DS with MSM is a time release formula that ensures long lasting performance and balanced absorption. Each bottle contains 16 oz. liquid. Also available in 120 ct. tablets. Citric Acid, Dicalcium Corn Syrup, Deionized Water, Methylparaben, Natural Flavoring (from chicken liver), Potassium Sorbate, Sodium Ascorbate, Sodium Benzoate and Xanthan Gum. Each bottle contains 16 oz. liquid. To learn more, visit our webpage Benefits of Glucosamine for Pets. 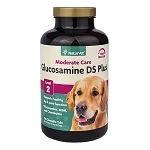 NaturVet Glucosamine DS Plus Level 2 for Dogs - 120 Ct.